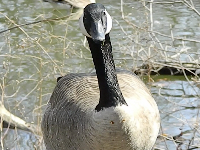 The term goose is used to describe many waterfowl. 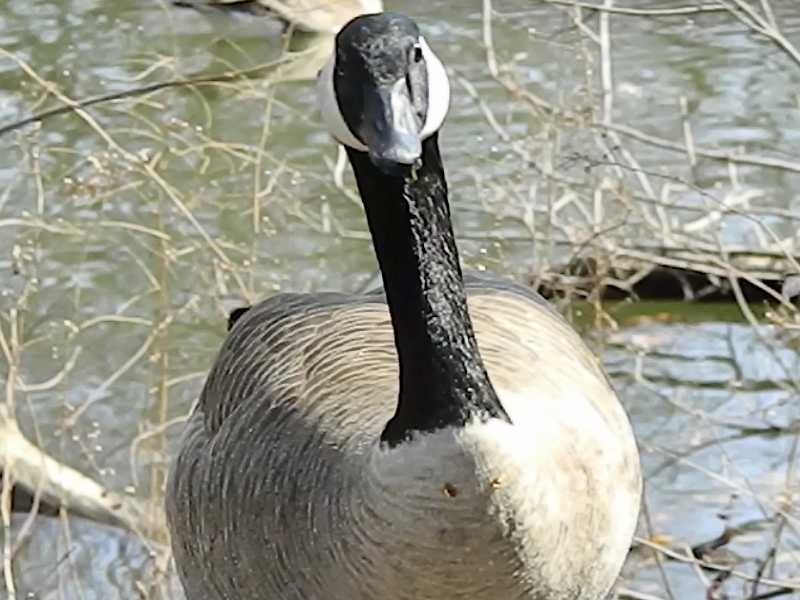 Goose will protect their territory during nesting season. 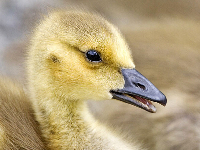 A young goose is called a gosling. The plural of goose is geese. This is an unusual plural form. 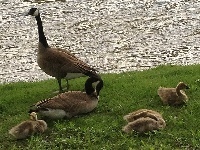 A group of Geese on the ground is called a gaggle. A group of Geese in the air is called a skein.